"Viet' Copter Unit to Get Maine Puppy as Mascot"
WALDOBORO - A five month old male Chinook pup bred here is headed for service with the fighting men of the 228th Assault Helicopter Battalion in Viet Nam. 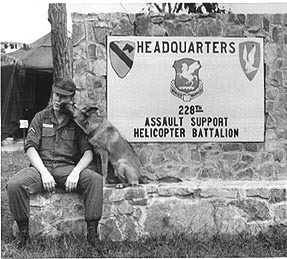 The pup will be mascot of the first operational Chinook Helicopter unit in Viet Nam. He will be the gift of the employees of the Vertol Division, Boeing Co., of Morton, PA. It will be their way of doing "something extra" for the men who fly the helicopter they built. THE MASCOT will be on hand at the plant Wednesday. He left the Green [sic] Kennels here Saturday on the first leg of a trip of several thousand miles in the company of Mr. and Mrs. Donald Loving and their seven-year-old son, Stephe, for the motor trip to Morton. They came here from Woodstown, NJ for him. Loving is a communications specialist at the Vertol plant. The Lovings expect to keep the pup at their home for awhile. He will then fly to Los Angeles, then Honolulu, Guam, and finally Saigon. From there he will be taken by the Army to the 228th base. The plan is to send the mascot to Viet Nam in the rainy season or in the next three months so he will become acclimated to the country more easily. Liaison between the Waldoboro kennels and the Vertol managers was set up by Mr. and Mrs. William Beckter of Philadelphia, who own a Chinook themselves. The Beckters had become interested in the exploits of the CH-47A helicopter in Viet Nam. They decided a Chinook dog would make a particularly fine partner to the helicopter and wrote the company expressing their views. THEY POINTED out that as the CH-47A is a work horse among helicopters, so is the Chinook in the canine world. The Beckters were invited to bring their Chinook dog to the plant late in February and it was decided the Chinook helicopter and Chinook dog were made for partnership. 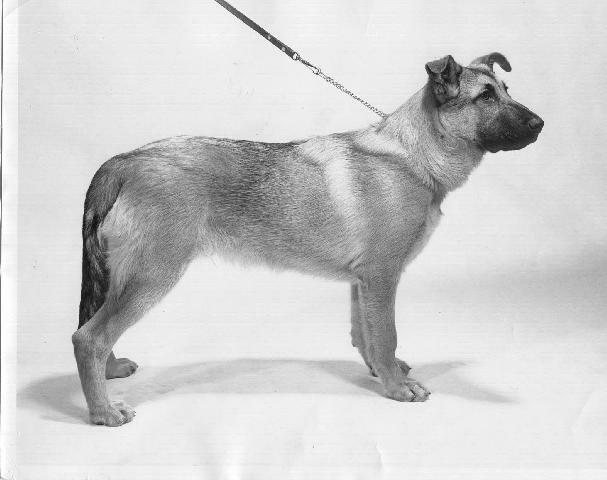 The Chinook breed was originated by Arthur T.Walden of Wonalancet, NH about 60 years ago. The breed's origin is a closely guarded secret. Its breeding secret passed into the hands of Perry Greene, famous Maine guide and woodsman, in 1940. Since Greene's death several years ago, the secret has been in the hands of Marjorie Greene Smead, his widow, who remarried nearly two years ago. Charger arrived in An Khe, South Viet Nam in June of 1966 and was cared for by LTC Carle E. Dunn, USA-Ret. LTC Dunn is author of the book, "The Last Hookers", a fictional novel drawing on both military history and personal experiences in Viet Nam. to An Khe, South Viet Nam. Info on Chinook Dog History, Arthur Walden, BAE1, Wonalancet and More!